ENROLLMENT IS ONLY OPEN ONCE A SEASON. Sign up below to be the first to know when enrollment opens again. 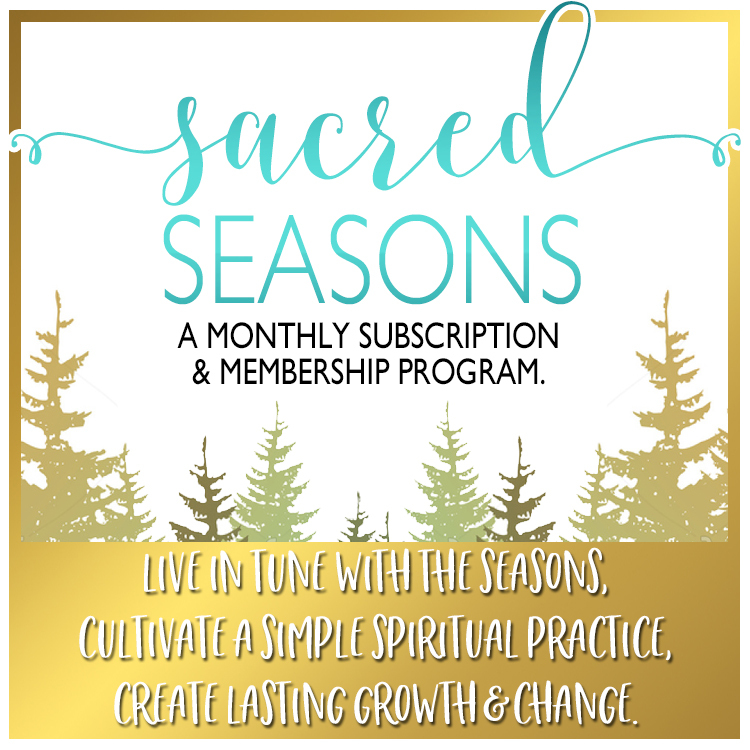 Sacred Seasons helps you cultivate a conversation between your intuition, and whatever the Sacred means to you. By connecting with the magic of the seasons, and the turning of the Wheel, you connect with the deepest parts of yourself & the mysteries of the Universe to find your Purpose, take action on your dreams, and evolve. 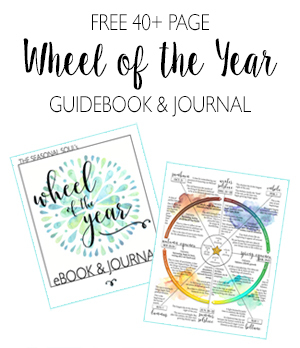 The monthly guidebooks tell you everything you need to know about the current seasonal energy, and how you can use that energy to grow––spiritually & emotionally. The monthly exercises walk you through the growth process–month by month, and season by season–so you can use the seasonal energy to plant seeds, nurture new growth, and bring lasting change & personal transformation to harvest in your life. 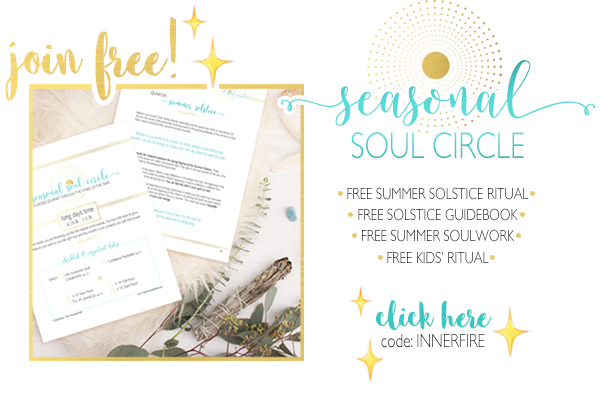 Each new moon you receive a PDF guidebook detailing the current seasonal energy, with 20+ pages of soulwork & info to further your personal growth. Contents vary month-to-month, depending on what’s happening seasonally. ♢ Moon Cycle Overview. 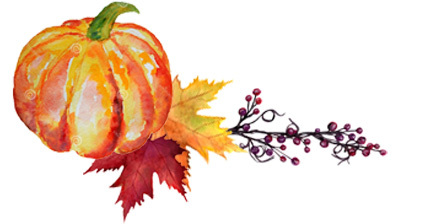 What the seasonal energy is doing, how it influences you, and what your spiritual tasks are for the month. ♢ New Moon Ritual. Uncovering the seeds of new growth you’ll plant this season. ♢ Beltane Overview. Why this is day meaningful? What soul work do you get the most out of in Spring? ♢ Beltane Ritual. Plant seeds of new growth & empower your own evolution this season. ♢ New Moon & Beltane Tarot Spreads. Tap into your intuition to discover what’s growing in your life this season. ♢ Journal Qs. Connect with your highest self in order to move your growth forward. 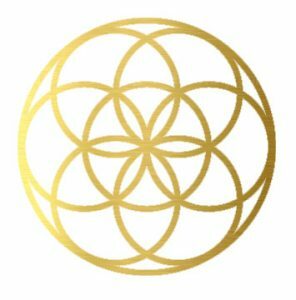 ♢ Meditations to support your work this month. ♢ Dark Moon Reflections. Use these each month to track your personal evolution & see hard proof of how you’re transforming. Price includes the monthly PDF subscription only. $175 • GET 2 MONTHS FREE! 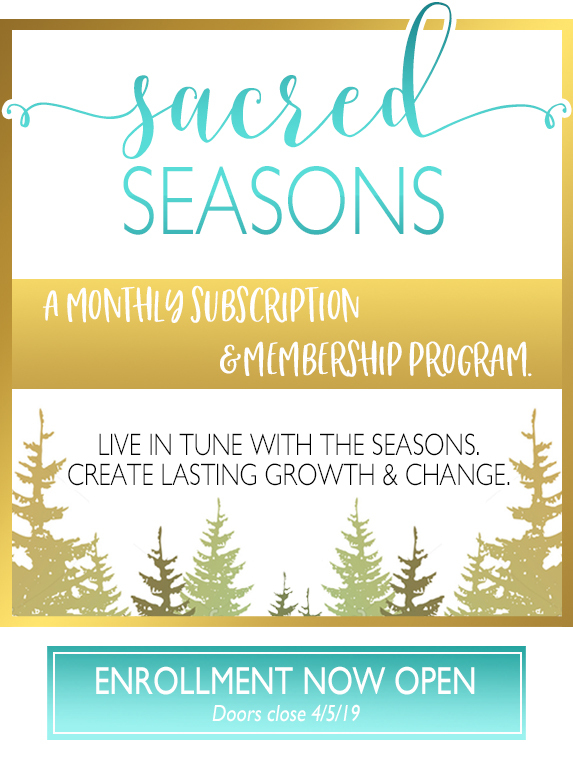 Seasonal Soul members receive the monthly subscription AND private group membership. Each month we’ll work through the guidebooks together in a mastermind setting. You’ll receive group coaching & support. As well as encouragement & meaningful reminders throughout the month. ♢ Monthly Q&A. We’ll start each new moon cycle with a live conversation about what’s happening seasonally & how to get the most out of that month’s soul work. ♢ Live Workshop & Ritual. 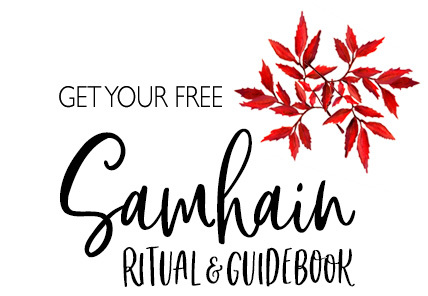 Members receive access to my live seasonal workshops, which include: a simple ritual on the Solstice or Equinox, and some rich soulwork to further your growth. ♢ Seasonal Book Club. Each season we’ll choose a book that connects with one of the seasonal themes to deepen our work. With opportunities to chat about the book we’re reading. ♢ Deeper conversation about the work we’re doing throughout the month. 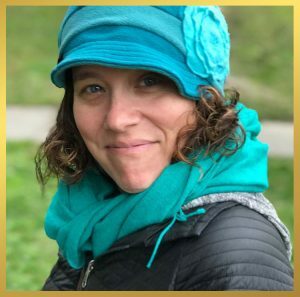 ♢ More connection with me, erin😊–your Seasonal Soul hostess. Throughout the month I share glimpses of my own work: my practices, things I struggle with, things that work for me. Have Qs? 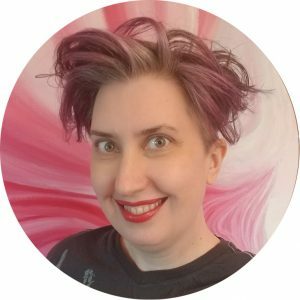 Stumped on a tarot spread? We’ll have lots of opportunities to chat! ♢ Lots more extras & goodies throughout the month. More tarot spreads, more journal Qs, more astro energy, and check-ins throughout the month. Price includes the monthly PDF download & exclusive membership group/content. $250 • GET 3 MONTHS FREE! I’m founder of The Seasonal Soul. 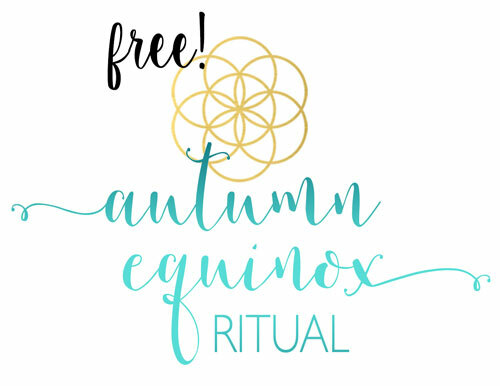 Where I provide readers with the tools to cultivate a simple, spiritual practice, and connect with their highest selves–using the transformational energy of the seasons as the foundation. Nature wants you to grow. 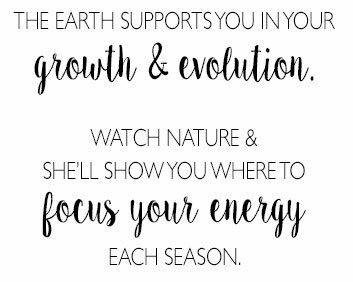 For over 15 years I’ve studied how the seasonal energy influences our personal growth––just like it influences the plants outside. I always want to be more in tune with nature and the seasons … but I haven’t had the energy to keep it up. In this subscription, you do that labor for me and make it pretty. Plus you have amazing tarot spreads that bring me joy. Working on my soul work & spiritual journey is allowing me to open up to new opportunities and take bigger risks…Your work is greatly influencing my life!! 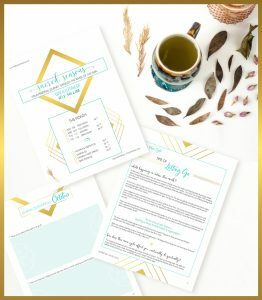 I absolutely love the workbook….I’ve been looking for something like this forever. I have always felt drawn to the seasons & had no idea where to begin with any of this at all. I’ve always wanted some sort of spiritual practice but typical practices never suited me. 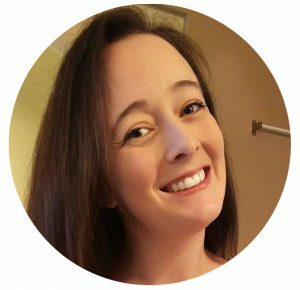 Your website instantly hit home for me. … I am SO thankful for this amazing subscription and group.